This story originally appeared in Wine Industry Network Advisor. Morgen McLaughlin knows this all too well. 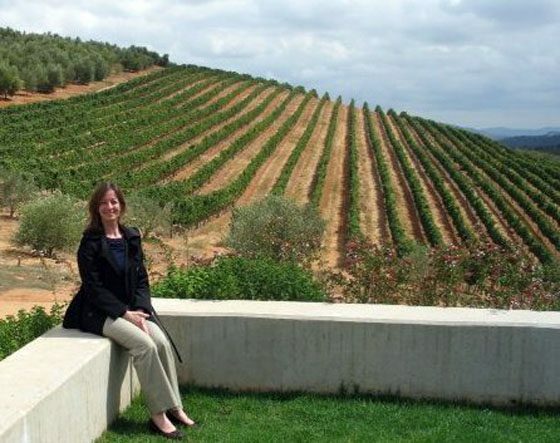 She has spent time on both coasts running wine associations, first working with the Finger Lakes Wine Country Tourism Marketing Association in Upstate New York and now on the west coast as the Executive Director of the Santa Barbara Vintners Association. Upon graduation, McLaughlin moved back to the family farm and winery for the summer. It was only supposed to be a transition period as she no longer wanted to be a teacher and was considering applying to business school. Her parents were living full time on their property in Colorado so McLaughlin was in charge of the farm, including the vineyards. Here was a city girl living on a farm doing things she had never done before, like plowing the fields. As the summer passed, McLaughlin realized that she was not going to start graduate school that fall. Living in a house with no central heating, she was suddenly chopping wood for the two wood stoves. She got a little help from Nate, an old family friend who was living across the street on another farm. Nate had helped plant her family’s vineyard when he was a teenager and started helping McLaughlin with some of the farm chores. As the seasons changed, McLaughlin was more involved in the vineyard. It was during pruning that she said her passion for wine was born. Three years later, McLaughlin and Nate got married at the vineyard and they proceeded to have three boys, expand the winery, build a tasting room, manage an event space and run a catering business. With viticultural challenges, the estate vineyard was planted to hybrid grapes so they began purchasing chardonnay, cabernet franc and merlot from Long Island and riesling from the Finger Lakes to produce 2500 cases of wine each year. It was in Connecticut that McLaughlin honed the skills that would later come in handy when running wine associations. She began by working on creating the Connecticut Wine Trail with highway signs, a website and an email list. She was also dealing with weather, land-use issues and family dynamics. She and Nate bought an old farmhouse off of the property that they restored in 2006 and McLaughlin started looking for a job outside of the family business to expand her resume. 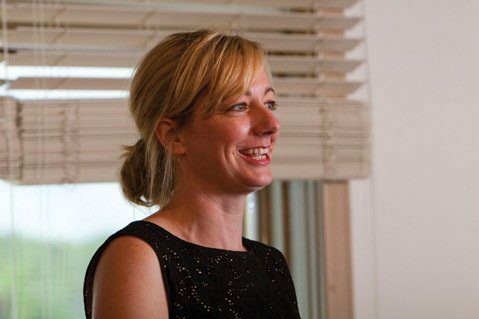 After nine months of interviews with marketing companies, McLaughlin sent her resume to the Finger Lakes for a position leading their wine tourism organization. Having traveled to the area for conferences and to buy grapes, she was familiar with the region. She got the job and spent the next six-and-a-half years commuting between Corning, New York and Connecticut, where her family was. The tourism marketing organization was founded by Corning Enterprises, the economic development arm for Corning Inc. that was created to improve the image of the area in order to improve their employee recruitment to upstate New York. A research company hired by Corning Enterprises found that wine was the draw and the tourism marketing organization was named the Finger Lakes Wine Country Tourism Marketing Association. Focusing on tourism with wine at the center and including hotels, restaurants, museums and tour companies, the organization would be able to target a more affluent customer. With a background in wine, McLaughlin was the perfect person for the job. When McLaughlin began working with Finger Lakes Wine Country in 2006, life was a shifting into the digital sphere. With a budget that she could spend on advertising, instead of print, radio and television, she moved to online content generation and social media. With a new public relations strategy, including desk-side appointments a few times per year in New York city, McLaughlin was able to overcome the perception of Finger Lakes wines at that time. McLaughlin also convinced the wineries to submit samples and would do big drop-offs toWine Spectator for review. She explained that points really mattered at that time and the wines ranged from scores in the low 80s to 91 and 92 points. “You can see a wave of improvement from vintage to vintage and can see the growth of the area with people coming in. It was about telling the story and we had the raw ingredients. It was a matter of packaging and selling.” And that is what McLaughlin did. The Finger Lakes has received numerous accolades, including being named a Top 10 Worldwide Wine Destination byWine Enthusiast and a Top Wine Destination in the U.S. by TripAdvisor.com. After more than six years of commuting between Connecticut and Upstate New York, it was wearing on McLaughlin. Her husband did not want to move the family to Upstate New York and the three boys were getting older and needed her around more. McLaughlin began looking for a new position that would be in a location that would work for her family. She was offered the job in 2013 with the Santa Barbara Vintners Association and the family happily agreed to move west. The Santa Barbara Vintners Association was founded in 1983 and, as an outsider, McLaughlin saw a lot of similarities with the Finger Lakes. She was familiar with California wines but not with Santa Barbara wines. There had been the “Sideways phenomenon” but people on the east coast did not know the movie took place in Santa Barbara. McLaughlin came to the region with fresh eyes and with the perspective of an east coast wine consumer. She saw the opportunity for a story that needed to be told better and had fresh ideas to try. “I was excited to focus on wine in Santa Barbara. It was an established region but lesser known.” But the association in Santa Barbara was also quite different from the Finger Lakes. In the Finger Lakes, the focus of the association was on wine tourism but in Santa Barbara it is a wine association, exclusively focused on wine. In the three years that McLaughlin has been in Santa Barbara, she has seen a return to consumer interest in higher-end wines, particularly pinot noir. There is also a new sense of discovery for chardonnay. Although Santa Barbara is still a small region and less known, it is well-positioned as one of the regions for this sense of rediscovery. McLaughlin is also working very closely with the local tourism office to encourage people to think of Santa Barbara for its wine, along with its beaches and luxury lifestyle. With more than a decade working within wine associations on both coasts, McLaughlin sees the challenges ahead. In many way, she says, “Santa Barbara County, and California as a whole, is starting to regulate itself out of the wine business. The biggest obstacle we have is that we as a region are handcuffed in trying new ideas for wine experiences.” In the Finger Lakes, McLaughlin explained, wineries could be very entrepreneurial and creative and could try different things. “If you wanted to build something, you got a building permit. If you wanted to serve food, you went to the health department to get a food permit. We did not have to go to the county planning commission and spend years in the approval process.” Unfortunately, in Santa Barbara, they are limited in being able to bring forth creativity and improve upon the wine experience. With all of this competition also comes a shift happening in the industry. Wine tourism as a whole cannot stay in its own bubble. There is a convergence with other alcoholic beverages such as craft beer and distilled spirits, as well as the legalization of marijuana. “Regions that can start connecting all of the dots will be at an advantage,” McLaughlin believes. As she juggles the various responsibilities of running a wine association, McLaughlin is one of the people who is connecting those dots. Read the original story in Wine Industry Network Advisor. This entry was posted in Wine and tagged Finger Lakes, Finger Lakes Wine Country, Morgen McLaughlin, Santa Barbara Vintners, WIN, WIN Advisor, Wine, wine association, wine industry, Wine Industry Network by Allison Levine.